Work Conditioning Therapy is a physical therapy treatment option used to help patients gain strength, flexibility, stamina and safer work techniques specific to their work requirements with the goal of allowing them a safe and functional return to work. Many patients are able to return to work more equipped to avoid injury in the future as this treatment option addresses key components of functionality needed for a specific vocation. If you have been injured on the job and are looking for a qualified physical therapy team who can help you safely return to your pre-injury position, give Elkins Physical Therapy and Sports Injury Clinic a call today. Our online Contact form is also available for you convenience. 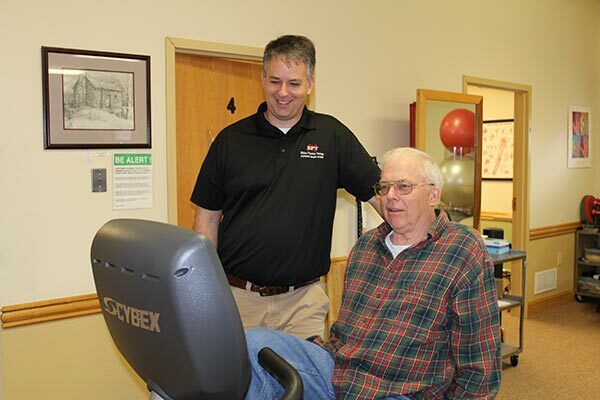 Don’t put off regaining your mobility, call to start your recovery program today. If you have been injured or endured a surgery and have not been able to fully regain your physical capacity and functionality, our work conditioning program may help you reach your specific goals. Our intensive work conditioning program is dedicated to helping injured patients safely return to their pre-injury job. We understand the frustration that limited mobility can cause, but we are here and fully dedicated to your recovery. Our dedicated and experienced staff will work with you to customize a program to meet you exact needs. We listen to our clients and strive to provide them the best physical therapy options available. Regardless if your job has you in an office, on the assembly line, or outdoors, our program can be customized to meet the demands you face at your place of employment. If you would like more information on how our work conditioning therapy can help you reach your goals, give us a call today or fill out our Contact form online.